Only Select Renewables Limited can give you the service you deserve. We are your best provider for Solar PV installation operating in Liverpool, Cheshire, Wirral and Manchester and the North West. We are time-served expert installers and providers of Solar Panels for domestic clients, business customers and landlords. Call us today to find out about FREE installation! Power your home from the Sun! As well as providing light, the Sun is a massive untapped source of usable energy. Many believe that solar power is something only worth considering if you live in arid or tropical areas, but this in NOT the case. Solar Panels (Solar photovoltaics) can easily generate a wealth of free energy, even here in Liverpool in the North West of England! Photovoltaics (PV) is a method of generating electrical power by converting solar radiation into direct current electricity using semiconductors that exhibit the photovoltaic effect. 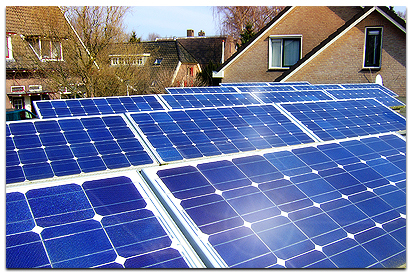 Photovoltaic power generation employs solar panels comprising a number of cells containing a photovoltaic material. Is solar power suitable for my property? Firstly we will perform a free onsite survey to assess suitability for solar panel installation - whether you're in the Liverpool area or further afield. Once we've made sure that installation is possible and beneficial, we will consult with you and come up with a full package tailored to your needs and location. We will provide a detailed quotation including costs, power output and predictions on payback timescales. Not only will installing Solar Panels (Solar PV cells) reduce your carbon footprint, but they will reduce your energy bills considerably, not just from direct use but from F.I.T.s ( Feed in Tariffs - read more at the Energy Saving Trust ) which pay you for all the excess energy you generate! This extra revenue could produce a combined saving and income of around £1000 per year which is also TAX fee, index linked and sheduled to run for at least the next 25 years. 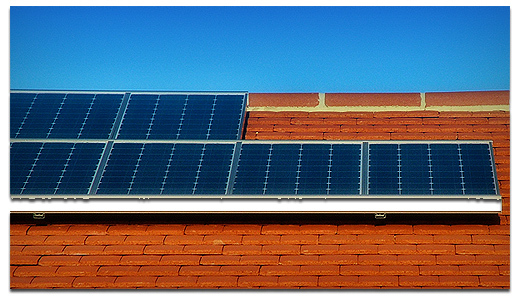 The PV cell array is installed in the best location to maximise sunlight capture, generally on the roof. The modules generate a D.C. (direct current) which is then converted to A.C. (alternating current) using a device called an inverter. For every KWp installed, you can expect to generate around 800KWh of electricity on average. This power is merged with the power coming from the National Grid and used to power your home. If you manage to produce more energy than you use, the excess is passed back into the National Grid to be used elsewhere. You benefit here, because your meter will show the amount of electricity imported and exported by property. I'm interested... what should I do? For a completely free and no-obligation consultation, whether you live in Liverpool, the Wirral, Cheshire or in the North West, get in touch with Select Renewables today via our contact page or give simply give us a call on 0845 313 6012! We cover the following areas and beyond - Solar Panels (Solar PV) in; Liverpool, Bebington, Birkenhead, Bootle, Crosby, Formby Greasby, Heswall, Kirkby, Knowsley, Maghull, Prescot, Sefton, Southport, St Helens, Aigburth, Aintree, Childwall, Deysbrook, Dingle, Fazakerley, Garston, Speke,Toxteth, Walton on the Hill, Wavertree, West Derby, Woolton, Cheshire, Halton, Lancashire, Manchester, Merseyside and the Wirral.